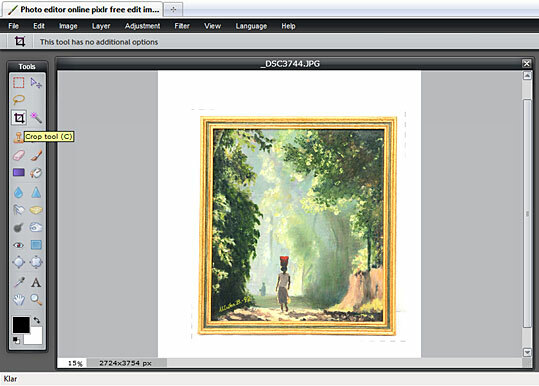 We show you step by step how to edit your photos of your artwork. It is important to make the photos look as close to the real art piece as possible when you want to show and sell your art on the web. The first step is to take a good photo, as good as possible, and then you make the last touch up like cropping and sharpen the photo in an editor. 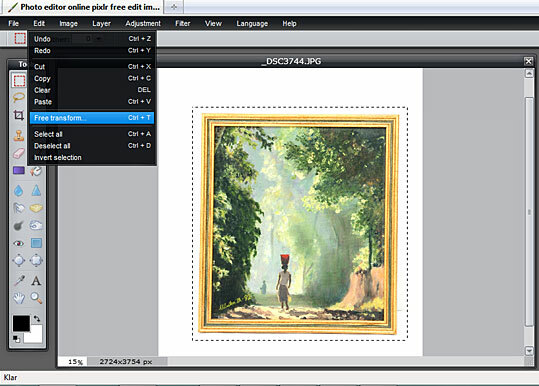 The work flow is the same as below even if you don’t use Pixlr as we have in our tutorial. The only difference might be how you do it and where you find it in the program you use. We have found an editor, Pixlr, for you that is free and where you edit your photos on-line directly in your browser on Pixlr’s web page. You don’t have to install any program on your computer and it is very smooth to use. 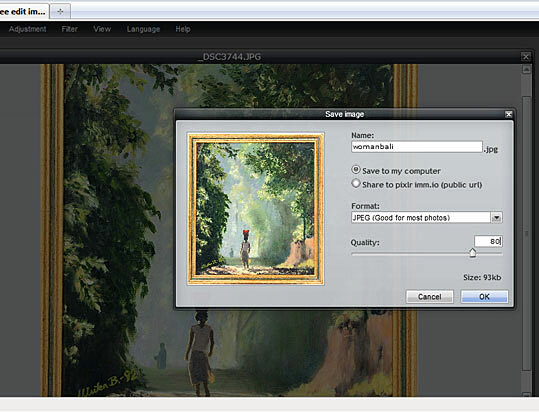 A tip: Do step 7, Save your photo, directly when you have opened the photo. Then you don’t risk to loose what you have done if the internet connection would get lost all of a sudden. If you “Save” regularly when you edit your photos, everything you have done up untill the last saving will still be there even if you loose contact. 1) Go to the editor on Pixlr and choose “Open image from computer”. Choose the white “Color picker” and click on the background of you picture. Does it look more clear and true in the colors compared to the real art piece? Hopefully it does. If you’re not satisfied, try to pick color in a different spot. There might be different hues in different parts of the background. The photo that we have used in the example is a bit too light so we dragged the bottom dot in the graph slightly to the right. Now the photo looks more like our original. Choose the Marquee Tool in the toolbox. 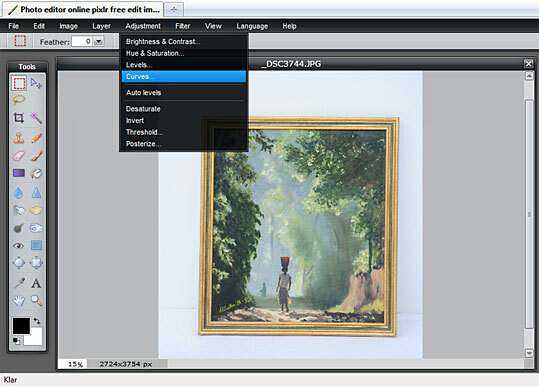 Drag a selection quite close to the edge of your artwork. Under “Edit” you find “Free Transform”. When you’re done, click on the side of the photo and you will get the question if you want ta apply the changes; choose “Yes”. 4) OK, now it´s time to Crop your photo. Choose the “Crop Tool” in the toolbox. 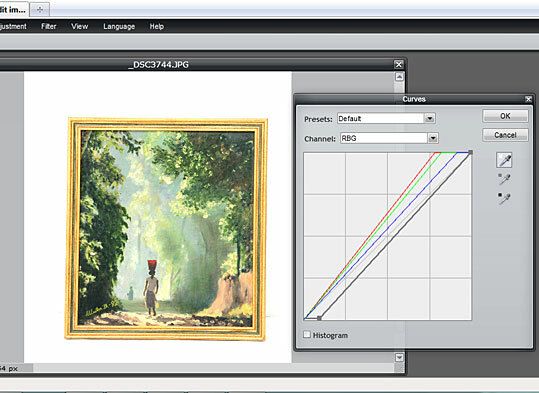 Drag a selection roughly where you want to crop the photo. When you made the selection, you can now adjust it by getting hold of the corners. You want to crop of all of the background. Click on the side of the photo and you will get the question if you want ta apply the changes; choose “Yes”. 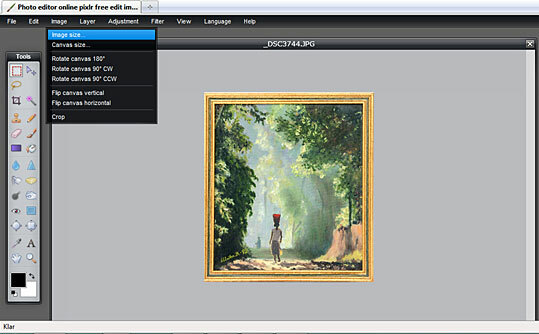 5) Next you want to Resize your photo. Under “Image” you’ll find “Image Size”. If you have a vertical art piece: Enter 550 px in the Hight box. The Constrain proportions box must be chosen. 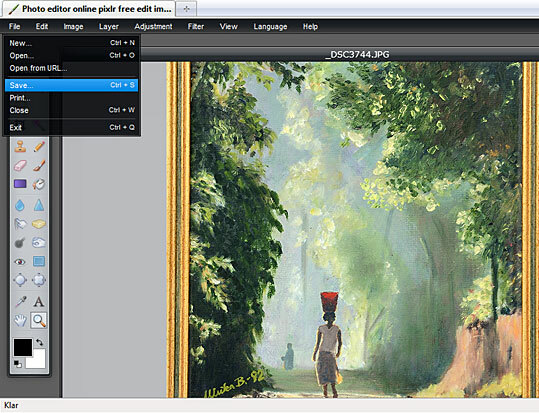 If you have a horizontal art piece: Enter 550 px in the Width box. 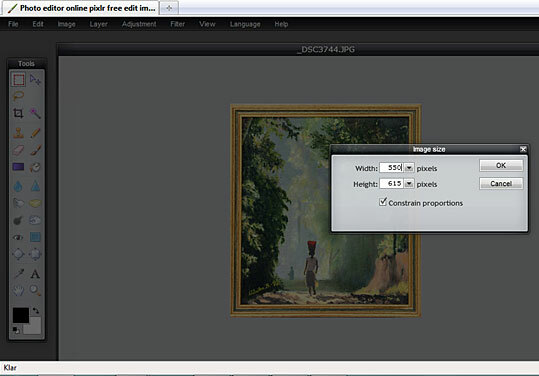 6) Now the final touch, you want to Sharpen your photo. Under “Filter” you’ll find “Sharpen”. Choose that and the picture will become a little sharper. 7) And now the final step; Saving your image. Under “File” you’ll find “Save”. Fill in the name you want to give the photo. Choose “Save to my computer”. Now you’ll have to choose where you want to place your photo. 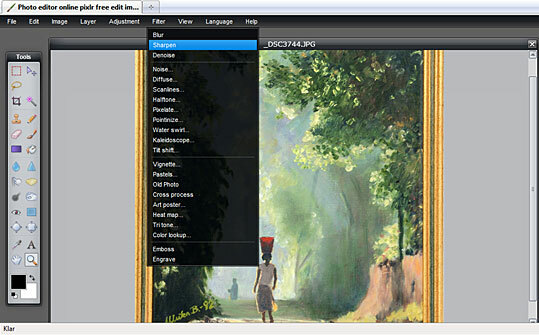 We recommend that you create a special folder for your edited photos. Then it’s easy to find them when you want to upload them to the gallery. This completes our guide on how you edit your photos. We hope this was helpful for you.